During a circuit restoration we located and repaired a potential fire hazard. 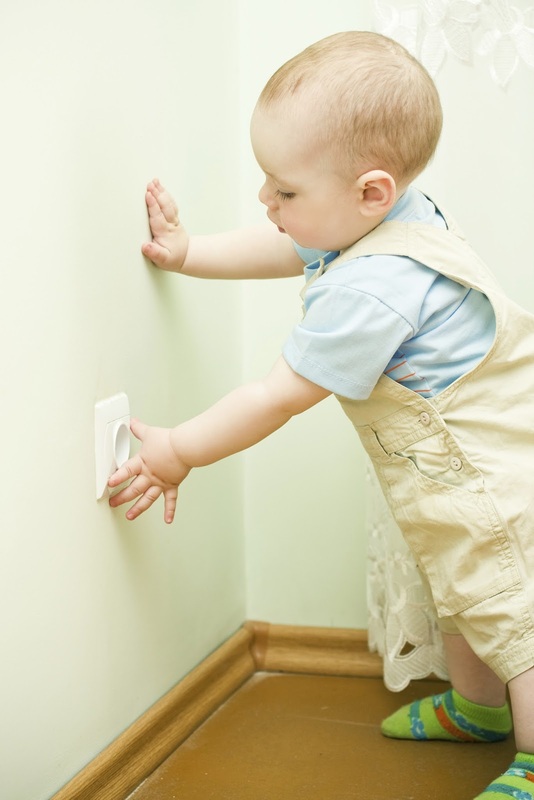 We recommend the outlets and switches get replaced every 10 to 20 years. This is a great example of why. The connections in this outlet loosened up over time and slowly started to heat up. Problems like this are not apparent when devices are initially installed. 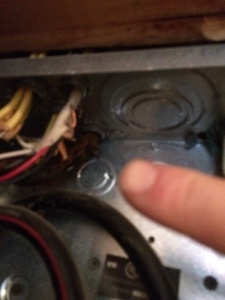 This gives homeowners and handyman false confidence when switching out the devices. It is a good idea to have an electrician do a circuit restoration whenever buying a new home, every 10 years in high-traffic areas, every 20 years for the entire home. Replacing the devices in your home (circuit restoration)will protect you from small problems that build up overtime in electrical equipment. 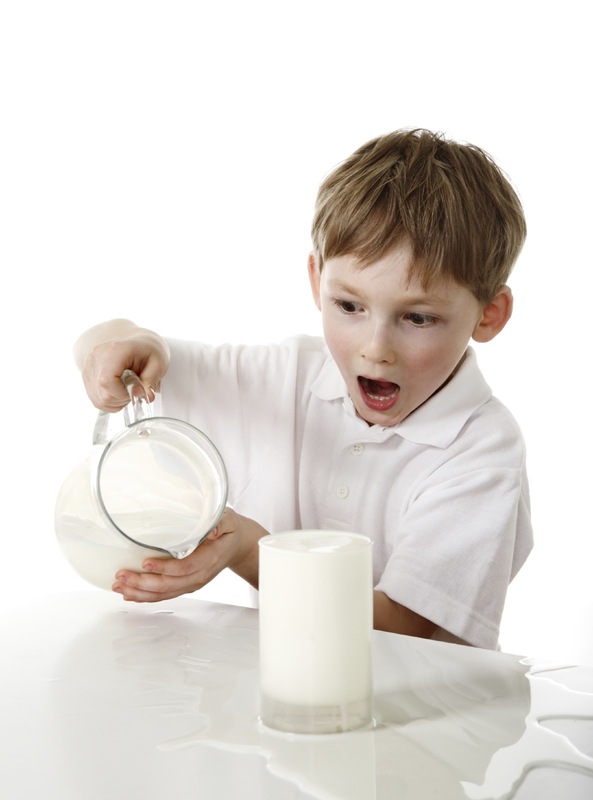 Not doing this can be way more costly. Your original living space wasn’t large enough to accommodate your entire family so you decided to renovate. However, once you began the project you realized that your existing hvac just wasn’t going to reach far enough to keep your addition comfortable. You started to panic. But don’t worry, we’ve got a solution - ductless hvac is here! Lots of homeowners believe in the misconception that ductless is always a whole-home system. This is not the case. Sometimes you only need to heat or cool a newly renovated living space or addition. With technology that enables the indoor unit to point the conditioned air toward the hot and cold spots in the room, Mitsubishi ductless splits have enabled us to turn many seasonal spaces like this into year-round sanctuaries. 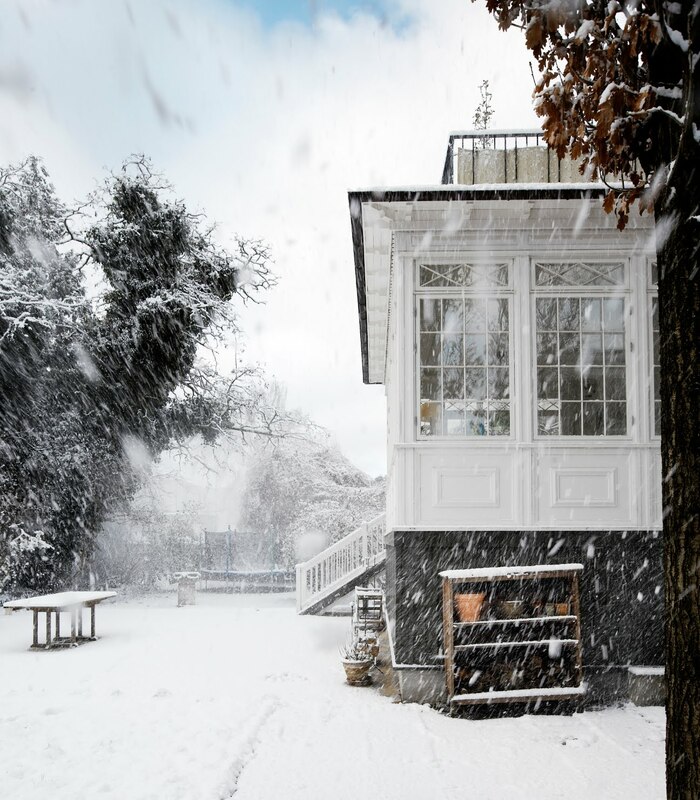 Take your new sunroom for example. 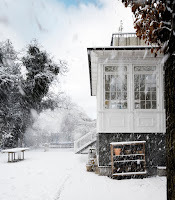 Wouldn’t it be nice to be able to sit in there during the first major snowstorm of the season and watch what’s going on outside without freezing? We can make it all possible. Sunrooms have an abundance of natural light and need to be cooled and heated differently from the rest of the house. Additions or outbuildings are often a little short on additional room and lack the space required for big, bulky ductwork. Some rooms are not regularly occupied and you can turn off the mini-split system and close the door to save money. If this sounds like your home, contact the ductless pros at GEN3 Electric today! We’d love to help you with the perfect hvac solution for your home so you can enjoy any room all year ‘round! Believe it or not, there’s lots of planning that goes into the installation of smoke detectors. There should be smoke alarms in every bedroom, outside each sleeping area and on every level of the home. With today’s technology, smoke alarms are often interconnected so if one sounds the rest will sound as well. 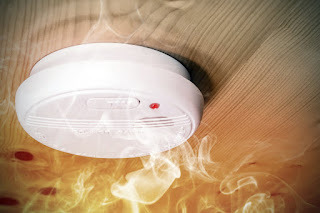 We recommend having smoke detectors hardwired with a battery backup rather than just having one with a battery. They should be installed 10-20 feet from cooking appliances and 6-12 inches from the ceiling if they are mounted on the wall. When was the last time you tested your smoke alarms? You should do so at least once a month by pressing the TEST button. It’s also a good idea to dust or vacuum the cover of your smoke alarm to prevent any potential malfunctions. Hear a chirping or beeping sound coming from the alarm? Don’t ignore it! Most of the time this signal indicates a low battery so be sure to check it right away. GEN3 Electric is your go-to electrician for home protection devices. Keep your family safe and sound this holiday season by making sure your smoke alarms are working properly. Give us a call at 215-512-4102 today! 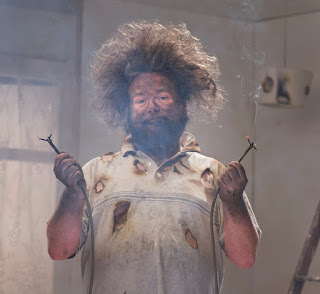 Need an expert electrician in Philadelphia? Look no further! Fully licensed and insured, Generation 3 Electric is a 3rd generation electrical and lighting services company. GEN3 Electric's Electricians Provide Electrical Repair & Installation in Philadelphia, Center City, Mt Airy & Surrounding Areas. When you choose GEN3, you can rest assured knowing that we’ve been serving the Philly Metro area for three generations. Since we’re owned by and employ life-long residents of Philadelphia we are your Neighbors. We’re familiar with your neighborhoods, because we live here too! We offer a full range of electrical services. Whether you’re in need of Surge protection, any kind of lighting upgrades or installations, knob & tube wiring replacement, short circuits, outlets, upgrades, code violations, or even whole house rewiring… We’ve got you covered. All of this is backed up with our 2012 Best Electrician award from the Best of Philly competition, and our Angie’s List Super Service Award, which we’ve now won the past 5 years in a row. 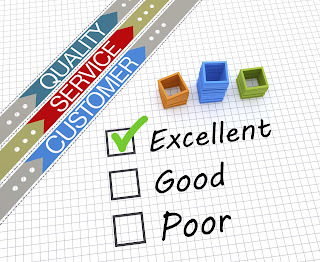 So give us a call at (215) 512-4102 the next time you need service! Hanging lights outside? Make sure they are labeled for outdoor use. These will be able to withstand the elements and are safe for using on the exterior of your home. Make sure you don’t pinch or penetrate any wires while affixing them to your home. It’s a good idea to use hooks or clips instead of staples. Check each light set for broken or frayed wires and replace any if necessary. Using a cord to plug your decorations in? Make sure it’s tested and labeled for outdoor use. Only plug decorations into a ground-fault circuit interrupter (GFCI) outlet. Leaving the house for an extended period of time? Turn off or unplug your decorations until you return home. This will also help you save on energy bills. We hope you have a very safe and happy holiday season! Give GEN3 Electric a call if you’re unsure about the safety of a particular decoration or want us to come by to take a look. 215-512-4102. 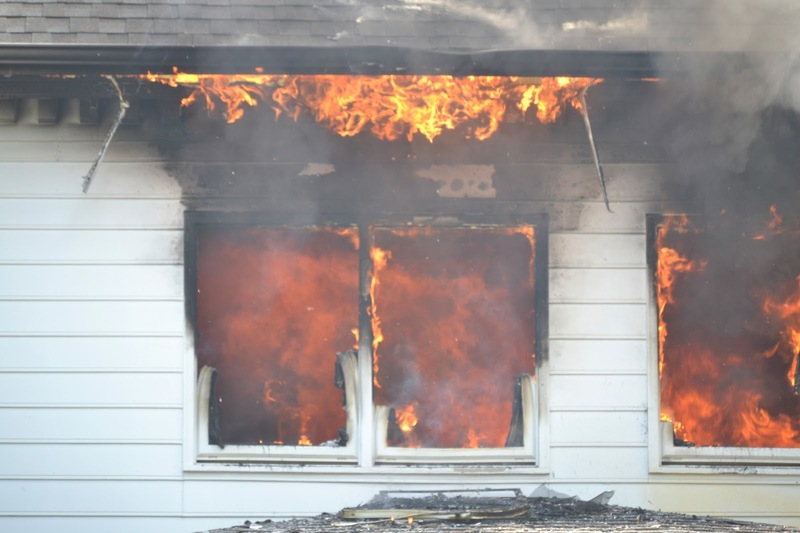 Did you know that nearly $17.5 million in property damage comes as a result of house fires during the holiday season (November - January) each year? 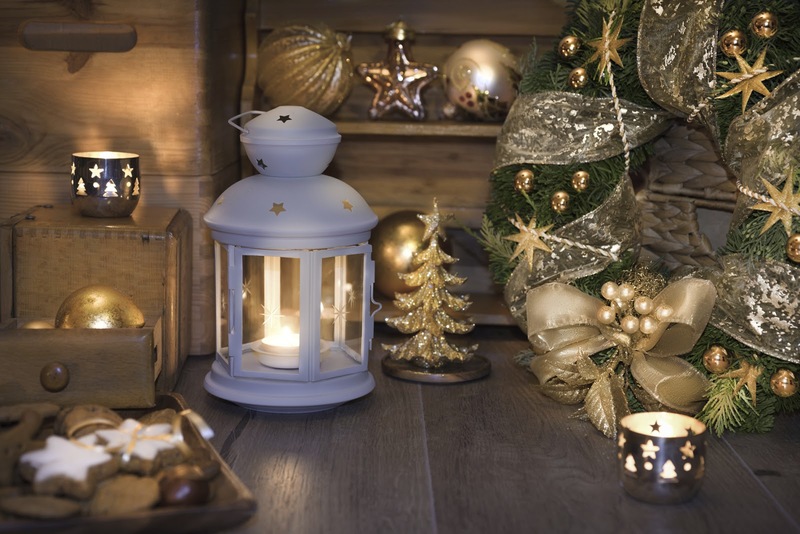 Don’t allow a fire to ruin your fun this season -- find out how properly functioning smoke and carbon monoxide detectors can help. Believe it or not, smoke alarms should be installed on every level of your home. This includes hallways and bedrooms as well as the basement and any floors in between. Smoke and carbon monoxide detector batteries should be checked monthly to make sure they still have enough juice to alert you should there ever be a problem. When is it time to completely replace detectors? We recommend swapping them out every 8-10 years. It’s important to have them installed by a qualified electrician, like GEN3 Electric, to ensure the devices are up to code and are wired properly. Don’t become another statistic. Check your smoke and carbon monoxide detectors now and give us a call if you need yours replaced. We want everyone to enjoy a very happy and healthy holiday season! Did you know you can actually communicate with your lights? Well, it may not be exactly what you’re thinking but the lights in your home can provide you with some crucial information. Have you ever missed a knock at the door or something somebody was yelling to you from the other room because you had your music or TV too loud? 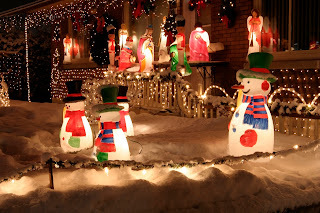 Believe it or not, you can set your lights so they blink when somebody is at the door. How’s that for communication? Remember the days when we dreamt of lights turning on as soon as we walked in the room and turning off automatically when we left? The days of dreaming are over - now it’s a reality. 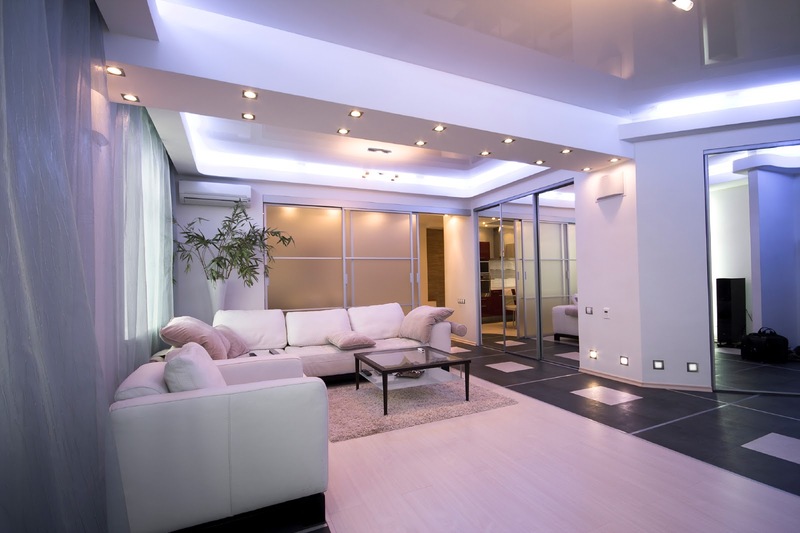 There are lots of lighting options available that come equipped with motion sensors. 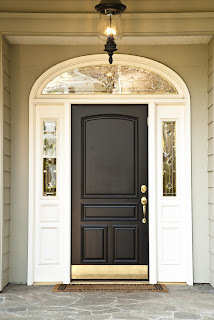 It’s your choice whether to have them installed outside as a security measure, inside for your own convenience or both! You’ve spent lots of money on nice furniture and artwork for your home that adds to your overall design scheme. Now, your lighting can change to accompany the mood. Having a party with friends and family members? Change the lighting to create a party-like mood. Anticipating a romantic evening with your spouse? Change the lighting to create a romantic atmosphere. Want to learn more about lighting controls? Contact the experts at GEN3 Electric - we specialize in lighting controls and smart home options. Give us a call at 215-512-4102. The first step of the process is to determine where you want to locate your television or surround sound system, if it’s not already in place. Next, make sure the power is turned off. Then remove the baseboard or door frame molding and you should be able to see a space between the door frame and the drywall. Oftentimes, the wire that you want to disappear can fit in this space and can be safely secured to the drywall using small brackets. If the space is too small for the wire to fit, you may need to cut a small space in the drywall around the door. Once you’ve safely secured the wires, replace the molding but be careful not to poke any holes where the wire lies. Not comfortable working with wires? The expert electricians at GEN3 Electric will gladly take care of the task for you! Just give us a call at 215-512-4102 to schedule an appointment. You don’t have to be an electrician to realize that some wires are different colors when it comes to electrical wires in your home. These colors aren’t just there for decoration - each one specifies a different function. It’s important to understand what each color stands for so you can stay safe when dealing with electrical devices in your home. Red wires are used in some types of switch legs and often make up the interconnection between smoke detectors and the power system. They indicate the secondary live wires in a 220-volt circuit and you can connect them to other red wires or black wires. Green wires indicate the grounding of an electric circuit. They can only connect to other green wires to provide a path to ground for a circuit’s current. These wires are used to carry power but are not meant for wiring the outlets of common plug-in electrical devices. Yellow wires are most commonly used as switch legs to fans, lights and switched outlets and blue wires are mainly used for three-way or four-way switches. 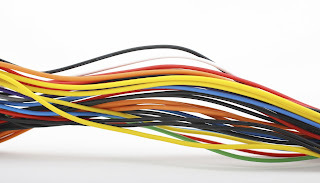 White or gray wires indicate a neutral wire. White and gray wires can only be connected to other white or gray wires and they can carry current. This color is used for power in all circuits. 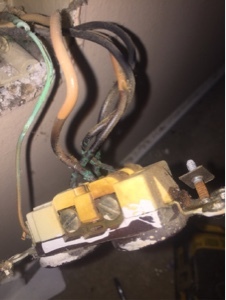 Always use extreme caution when dealing with black wires because they are considered “hot” or “live”. 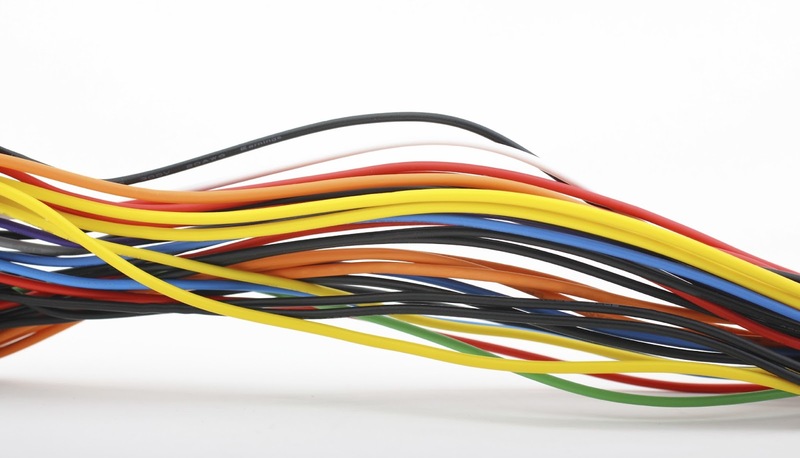 For more information about electrical wires contact your friendly neighborhood electricians at GEN3 Electric. Our trained electricians understand any issues you have with the electric and lighting in your Philly home. 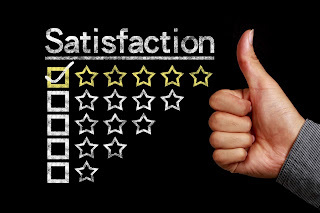 Give us a call today at 215-512-4102 to schedule an appointment and don’t forget to connect with us on Facebook! 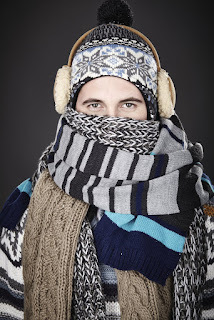 Use an electric blanket to keep warm during the fall and winter months? Be sure to replace it every 10 years and check to make sure the cords, wires and temperature controls are not damaged. Be careful not to pinch any heating wires and remember to turn the blanket off when you are not using it. 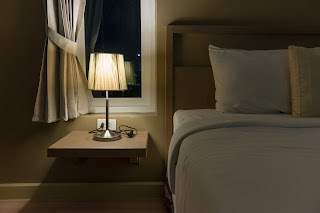 Have electrical appliances in your room such as a computer, TV, or lamp? Be sure to turn them off before you fall asleep and never run extension cords that power your devices under carpets or rugs. Never overload outlets. Follow all manufacturer's instructions when plugging in an electronic device and use a surge protector when needed. Smoke alarms and carbon monoxide detectors should be installed in every bedroom in the house. Test the batteries monthly to make sure they are ready should an emergency strike. Generation 3 Electric has been servicing the electrical needs of the Philadelphia metro area for three generations. 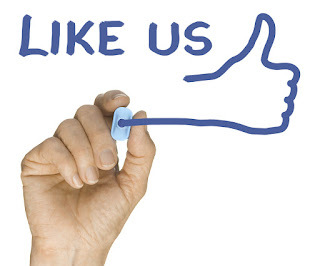 Give us a call at 215-512-4102 when you need service and be sure to connect with us on Facebook. 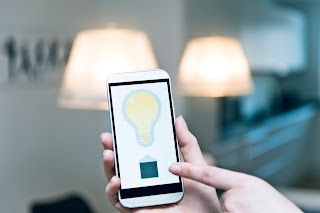 Thinking about upgrading your home to a smart lighting system? With lots of options on the market you’ll be able to mix and match products that fit your style. While you may want to automate every single switch and bulb in your home at once, it’s better to start with a foundation that you can build upon down the road. Color-changing bulbs inside the house? Why would you need that? While you may not want your bulbs changing color on a regular basis, it can be a huge benefit if they are connected to your smoke detectors or security system. Now you’ll know for sure when there is an emergency! Now that you’ve picked out the smart bulbs you want, you’re going to need to automate the switches. Since you’ve got a lot of wiring to deal with, we recommend leaving this job to the professionals. They’ll be sure to disconnect your old switch properly and replace it with the smart one. Once you have your lights and switches ready to go, you can focus on controlling them with your voice. The Amazon Echo smart speaker is a great option and works with Alexa, the voice-activated cloud-connected Al. Want to learn more about smart lighting and upgrading your home’s devices? 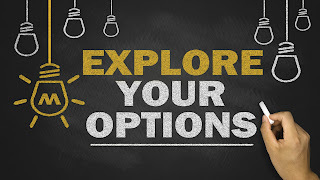 Contact the experts at GEN3 Electric today. We’re up-to-date on the latest technology and gadgets and have the knowledge and tools to install them for you! Is your basement dark, scary and unpleasant to be in? Do you have lights with open junctions? It’s time to make a big switch. With the right lighting and a touch of paint, you can increase the amount of space your home has by a full floor! Have a bunch of stuff piled up in your basement that you haven’t used or seen in years? Have you ever thought that it could be because of the lack of lighting downstairs? 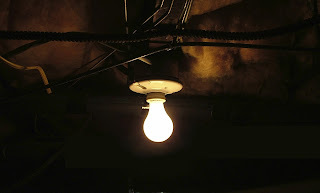 Basement lighting is one of the most overlooked parts of a home and if your basement is dark and dirty, it’s more likely to collect your old things. One light bulb with an open junction is not the solution. Instead, consider having fluorescent or LED lights and new wiring installed to brighten up your basement. In addition, sprucing up the walls with a fresh coat of paint can really make it feel much more inviting. Ready to make the upgrade? 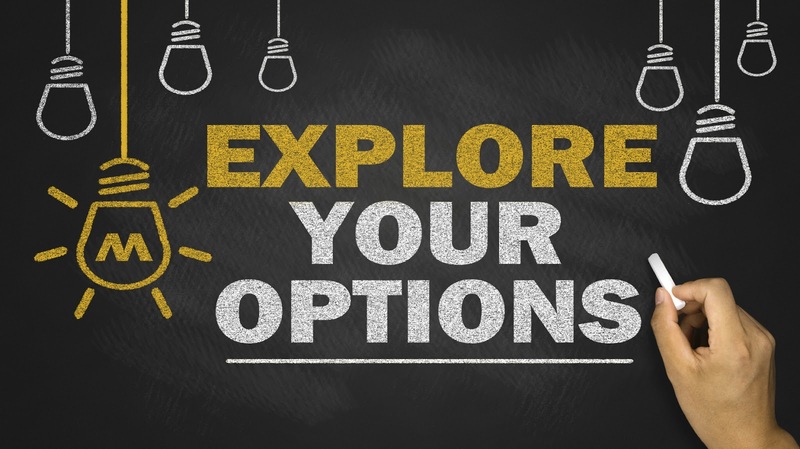 Contact the expert electricians at GEN3 Electric today to schedule an appointment and find out how we can create some extra living space in your home! Don’t leave your front door in the dark. Brighten up your home’s entryway with a beautiful light fixture that will capture your neighbors’ eyes. It’s the perfect way to make your home feel more cozy and inviting this fall. 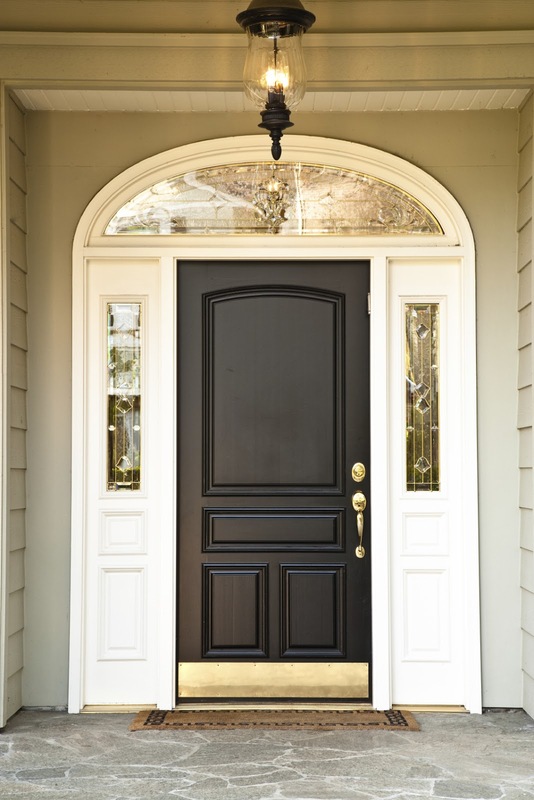 The first step is to decide on the type of fixture you want outside your door. Central, ceiling-mounted fixtures work well if you have a smaller entryway, but if you have some room to work with you can go with wall-mounted fixtures on either side of the front door. No matter which option you choose, you’ll want to cast a warm, wide pool of light that brightens up the front of your home. Can you do the job yourself? If by “job” you are referring to changing a lightbulb the answer is of course, yes. 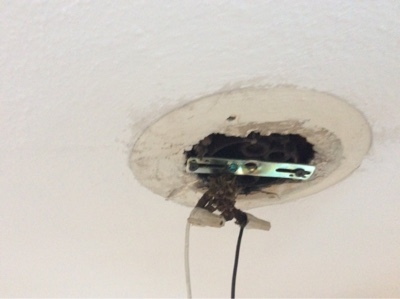 But if you’re talking about installing a properly wired junction box and connecting a new fixture - leave it to the pros. When it comes to maintenance of your outdoor lighting, you can also do this yourself. Because they are exposed to the elements, fixtures can get dirty or become dull. In most cases, a damp cloth will do the trick. Adding light to your entryway is a wonderful way to spruce up your home this season. Need help deciding on where to place the fixtures or which type will look best? 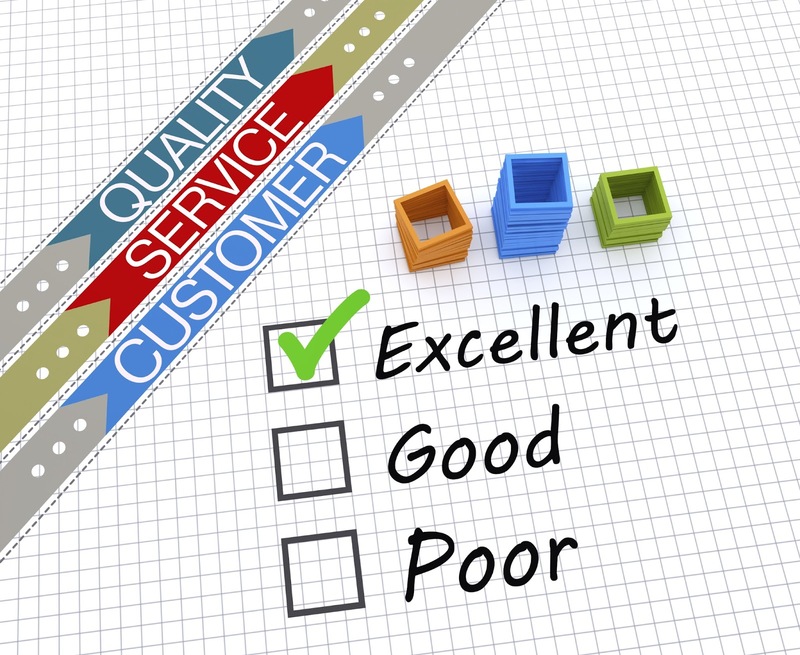 Contact the experts at GEN3 Electric today - we’re more than happy to help! You’ve heard that if you have an older Philadelphia home, your electrical system may be outdated and unsafe. But do you know how dangerous old wires and outlets can actually be? 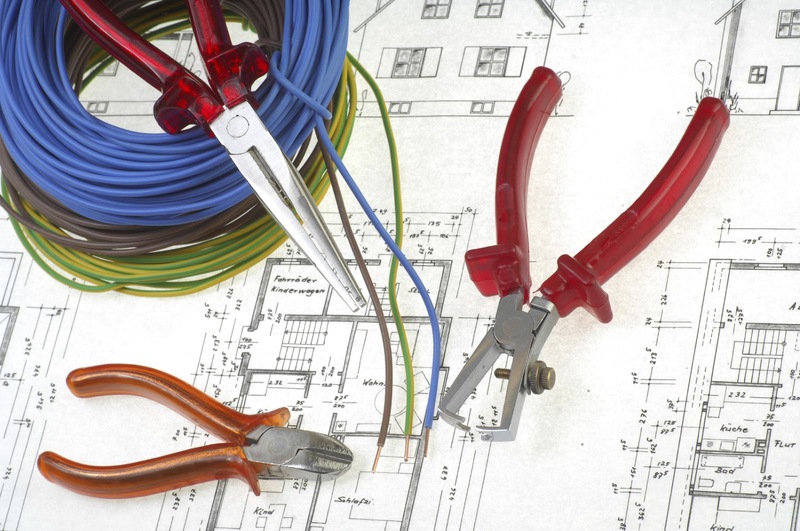 When it comes to home rewiring, you may have the same questions as your neighbors so hopefully we can provide you with some answers. Q: Would new outlets and/or receptacles offer convenience and eliminate unsightly extension cords? A: Floor outlets are the perfect solution for eliminating extension cords. They offer convenience and eliminate the risk of tripping on a wire. 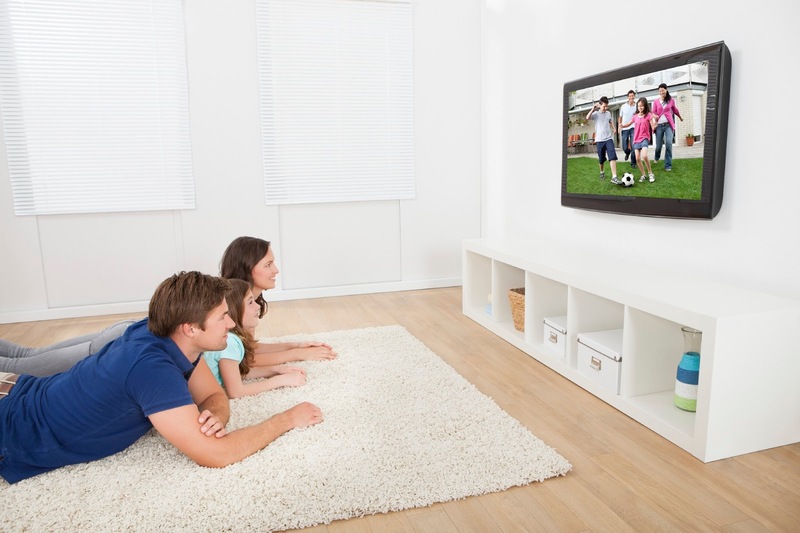 Q: Does a new appliance, home entertainment system or air conditioner require its own outlet? A: Although they don’t always require their own outlet, direct lines can save energy and prevent tripped breakers - therefore making it a much safer option. 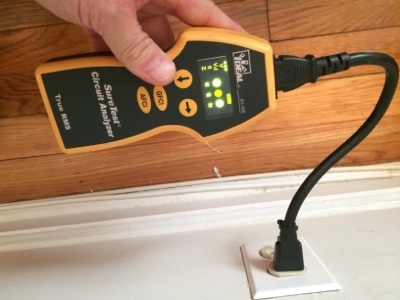 Q: How do I know if my outlets are grounded? A: Older homes tend to have ungrounded outlets. If you are unsure, you can give us a call and we’ll send one of our expert electricians over to take a look. Q: What are some warning signs of old outlets and switch plates? Have additional questions for our team? Give GEN3 Electric a call at 215-512-4102 or feel free to send us a message on Facebook! In this case, it was a combination of an old outlet and too much power going through at the same time. If your home’s outlets are over 20 years old, it may be time for an upgrade. You can always count on the professional electricians at GEN3 Electric to upgrade your home’s wiring and make sure all of your electrical devices are safe and secure. Give us a call today at 215-512-4102 to make an appointment.